We are counted among the most reliable Brass Powder Manufacturers in India. We use virgin metal to manufacture Brass Powder that ensures unmatched quality and inexplicable performance in respective applications. 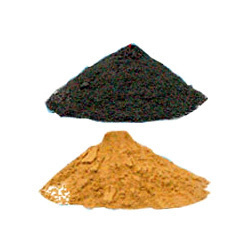 Moreover, Brass Metal Powder offered by us are also experiencing huge demand in the global market as these are used for Brass Powder Coating in the manufacturing of Sintered metal parts, Brake pads, friction linings. Customers are facilitated with the availability of the Brass Powder within the stipulated time frame.